DC heroes. 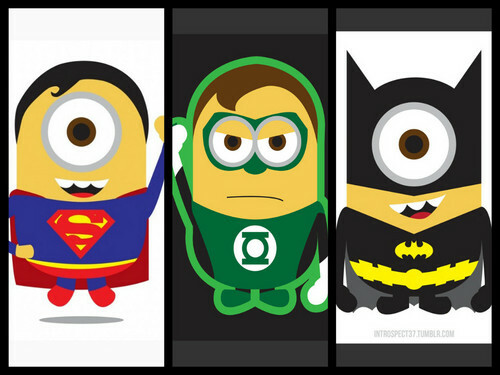 Batminion, Superminion and Green Minion. HD Wallpaper and background images in the minions de mi villano favorito club. They r so dang cute!! !